Although it feels like we’re still in the depths of summer over here, it’s never too early to start thinking holiday gifts if you’re planning on making them yourself! Last year Lion Brand launched their “12 Weeks of Christmas” campaign and we are back for round two this year. I’m so excited to have a knit pattern among the bunch, and there are so many lovely designs that will make excellent presents this holiday season. Read below for the Cedar Hill Scarf free pattern and get a peek at all of the other 12 Weeks of Christmas patterns! As always you can purchase an ad-free PDF version of the pattern here, and you can score the kit for my design and all the others 20% off through 9/20. And even better news: the Cedar Hill Scarf kit will remain on sale through 9/27! It’s impossible not to think cozy squishy knits as soon as September rolls around, and I was so excited work on something fall-ish after a full summer of lots of warm weather patterns. Last year I contributed two designs to the 12 Weeks campaign - the Rebozo Wrap and the Affirmations Scarf. Both of these patterns were based around the concept of crafting with intention as they included simple stitch repeats that allowed for mindful stitching and the ability to infuse a mantra or well wishes into the fabric. The Cedar Hill Scarf may look much more complicated, but once you get the hang of it, it can also be relaxing and addicting to work on. It does take a bit of time though as it’s knit with worsted weight yarn, so it’s a good idea to get started on it sooner rather than later. Lion Brand has broken down the 12 designs in the campaign into four groups of three patterns depending on their time commitment, and the Cedar Hill Scarf is part of the first bunch. There are so many great designs this year, and I’ve included a peek below at all of them according to the project size. All of the kits in the campaign are 20% off through Thursday, Sept 20th, and I’ve hyperlinked each one below to their kit so you can shop away! Get started on larger projects now. You can still get these projects done. Start your handmade holiday now. 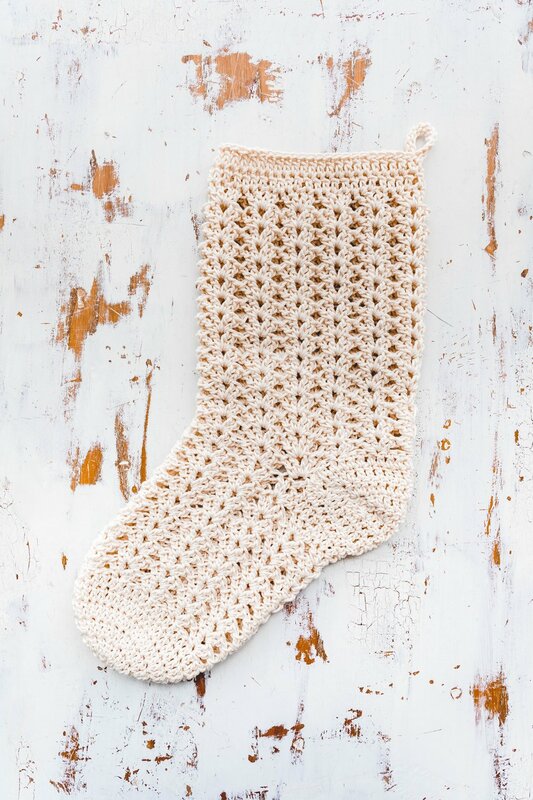 Quick projects for last minute gifting. 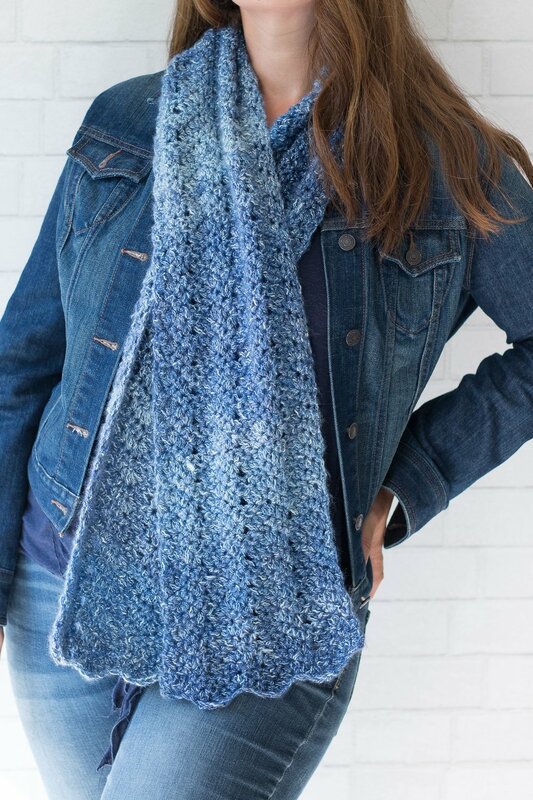 Worked up in seven sections, the Cedar Hill scarf contains repeating rows of left and right leaning cables, rib stitch, bramble stitch, and a braided Celtic cable. My main objective this time around was to create a giftable knit that could be made for pretty much anyone on your list. The timeless appeal of the fisherman-style cables and stitches in the Cedar Hill Scarf makes it a unisex accessory that will quickly become a staple of any winter wardrobe. This is an intermediate level pattern and the techniques involved are knit, purl, kpk, p3tog, slipping sts, and using a cable needle to work simple cable repeats. Back Cross (BC) – Sl 3 sts (2 K sts and 1 P st) onto cable needle and hold to back of work, K 2 sts from left needle, Sl P st from cable needle back to left needle, P that st from left needle, K 2 remaining sts from cable needle. Cable 6 Back (C6B) – Sl 3 sts onto cable needle and hold to back of work, K 3 sts from left needle, K 3 sts from cable needle. Cable 6 Front (C6F) - Sl 3 sts onto cable needle and hold to front of work, K 3 sts from left needle, K 3 sts from cable needle. Front Cross (FC) - Sl 3 sts (2 K sts and 1 P st) onto cable needle and hold to front of work, K 2 sts from left needle, Sl P st from cable needle back to left needle, P that st from left needle, K 2 remaining sts from cable needle. Notes: Scarf is worked in 7 sections with markers dividing them to help keep track: rib, right leaning cable, bramble, 5 strand braided Celtic cable, bramble, left leaning cable, and rib. The first stitch of every row is slipped purlwise with yarn either in front or back to create a smooth selvedge edge. Follow chart included below or written instructions here. Row 1: Sl 1 wyib, K 1, *P 2, K 2, rep from * to end of row. Row 2: Sl 1 wyif, P 1, *K 2, P 2, rep from * to end of row. Rep rows 1 and 2 until work measures 2”/5cm, ending with a row 2. Row 1 (RS): Sl 1 wyib, K 1, P 2, pm, K 6, pm, P 14, pm, K 2, (P 1, K 2) 4 times, pm, P 14, pm, K 6, pm, P 2, K 2. Row 2: Sl 1 wyif, P 1, K 2, sm, P to marker, sm, K 1, (P3tog, KPK) 3 times, K 1, sm, P 2, (K 1, P 2) 4 times, sm, K 1, (P3tog, KPK) 3 times, K 1, sm, P to marker, sm, K 2, P 2. Row 3: Sl 1 wyib, K 1, P 2, sm, K to marker, sm, P to marker, sm, K 2, (P 1, FC) 2 times, sm, P to marker, sm, K to marker, sm, P 2, K 2. Row 4: Sl 1 wyif, P 1, K 2, sm, P to marker, sm, K 1, (KPK, P3tog) 3 times, K 1, sm, P 2, (K 1, P 2) 4 times, sm, K 1, (KPK, P3tog) 3 times, K 1, sm, P to marker, sm, K 2, P 2. Row 5: Sl 1 wyib, K 1, P 2, sm, C6B, sm, P to marker, sm, K 2, (P 1, K 2) 4 times, sm, P to marker, sm, C6F, sm, P 2, K 2. Row 6: Sl 1 wyif, P 1, K 2, sm, P to marker, sm, K 1, (P3tog, KPK) 3 times, K 1, sm, P 2, (K 1, P 2) 4 times, sm, K 1, (P3tog, KPK) 3 times, K 1, sm, P to marker, sm, K 2, P 2. Row 7: Sl 1 wyib, K 1, P 2, sm, K to marker, sm, P to marker, sm, (BC, P 1) 2 times, K 2, sm, P to marker, sm, K to marker, sm, P 2, K 2. Row 8: Sl 1 wyif, P 1, K 2, sm, P to marker, sm, K 1, (KPK, P3tog) 3 times, K 1, sm, P 2, (K 1, P 2) 4 times, sm, K 1, (KPK, P3tog) 3 times, K 1, sm, P to marker, sm, K 2, P 2. Row 9: Sl 1 wyib, K 1, P 2, sm, K to marker, sm, P to marker, sm, K 2, (P 1, K 2) 4 times, sm, P to marker, sm, K to marker, sm, P 2, K 2. Row 10: Sl 1 wyif, P 1, K 2, sm, P to marker, sm, K 1, (P3tog, KPK) 3 times, K 1, sm, P 2, (K 1, P 2) 4 times, sm, K 1, (P3tog, KPK) 3 times, K 1, sm, P to marker, sm, K 2, P 2. Row 11: Sl 1 wyib, K 1, P 2, sm, C6B, sm, P to marker, sm, K 2, (P 1, FC) 2 times, sm, P to marker, sm, C6F, sm, P 2, K 2. Row 12: Sl 1 wyif, P 1, K 2, sm, P to marker, sm, K 1, (KPK, P3tog) 3 times, K 1, sm, P 2, (K 1, P 2) 4 times, sm, K 1, (KPK, P3tog) 3 times, K 1, sm, P to marker, sm, K 2, P 2. Row 13: Sl 1 wyib, K 1, P 2, sm, K to marker, sm, P to marker, sm, K 2, (P 1, K 2) 4 times, sm, P to marker, sm, K to marker, sm, P 2, K 2. Row 14: Sl 1 wyif, P 1, K 2, sm, P to marker, sm, K 1, (P3tog, KPK) 3 times, K 1, sm, P 2, (K 1, P 2) 4 times, sm, K 1, (P3tog, KPK) 3 times, K 1, sm, P to marker, sm, K 2, P 2. Row 15: Sl 1 wyib, K 1, P 2, sm, K to marker, sm, P to marker, sm, (BC, P 1) 2 times, K 2, sm, P to marker, sm, K to marker, sm, P 2, K 2. Row 16: Sl 1 wyif, P 1, K 2, sm, P to marker, sm, K 1, (KPK, P3tog) 3 times, K 1, sm, P 2, (K 1, P 2) 4 times, sm, K 1, (KPK, P3tog) 3 times, K 1, sm, P to marker, sm, K 2, P 2. Row 17: Sl 1 wyib, K 1, P 2, sm, C6B, sm, P to marker, sm, K 2, (P 1, K 2) 4 times, sm, P to marker, sm, C6F, sm, P 2, K 2. Row 18: Sl 1 wyif, P 1, K 2, sm, P to marker, sm, K 1, (P3tog, KPK) 3 times, K 1, sm, P 2, (K 1, P 2) 4 times, sm, K 1, (P3tog, KPK) 3 times, K 1, sm, P to marker, sm, K 2, P 2. Row 19: Sl 1 wyib, K 1, P 2, sm, K to marker, sm, P to marker, sm, K 2, (P 1, FC) 2 times, sm, P to marker, sm, K to marker, sm, P 2, K 2. Row 20: Sl 1 wyif, P 1, K 2, sm, P to marker, sm, K 1, (KPK, P3tog) 3 times, K 1, sm, P 2, (K 1, P 2) 4 times, sm, K 1, (KPK, P3tog) 3 times, K 1, sm, P to marker, sm, K 2, P 2. Row 21: Sl 1 wyib, K 1, P 2, sm, K to marker, sm, P to marker, sm, K 2, (P 1, K 2) 4 times, sm, P to marker, sm, K to marker, sm, P 2, K 2. Row 22: Sl 1 wyif, P 1, K 2, sm, P to marker, sm, K 1, (P3tog, KPK) 3 times, K 1, sm, P 2, (K 1, P 2) 4 times, sm, K 1, (P3tog, KPK) 3 times, K 1, sm, P to marker, sm, K 2, P 2. Row 23: Sl 1 wyib, K 1, P 2, sm, C6B, sm, P to marker, sm, (BC, P 1) 2 times, K 2, sm, P to marker, sm, C6F, sm, P 2, K 2. Row 24: Sl 1 wyif, P 1, K 2, sm, P to marker, sm, K 1, (KPK, P3tog) 3 times, K 1, sm, P 2, (K 1, P 2) 4 times, sm, K 1, (KPK, P3tog) 3 times, K 1, sm, P to marker, sm, K 2, P 2. Rows 25-384: Rep rows 1-24 (total of 16 repeats). Rows 385-393: Rep rows 1-9. Rep rows 1 and 2 for 2”/5cm, ending with a row 2. Bind off. Secure and weave in all ends. Block work.